Samplers like this were created by girls to practise their sewing skills. They also acted as decorations on the walls of the family home. In the 1800s, embroidery and needlework were regarded as an important part of a girl’s education. Sometimes they learned to sew before they could write. Different forms of needle work involved writing texts or poems, sewing numbers, figures and objects. 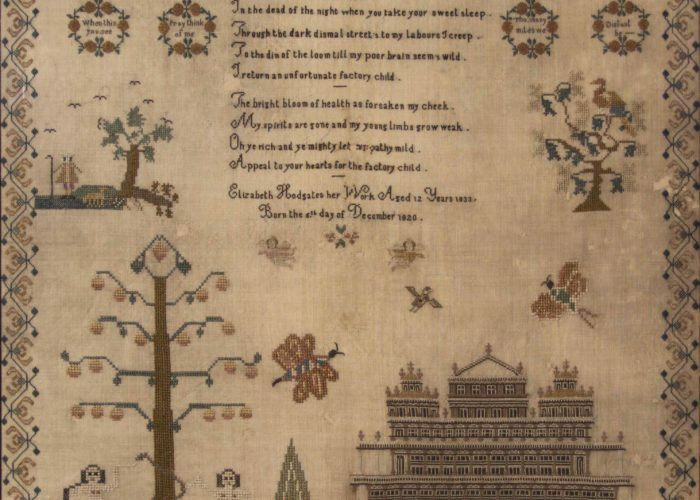 Some samplers consisted of quotations, passages from religious texts, family trees or written memorial pieces to remember a family member. It begs the reader to consider the plight of children who worked in Salford’s mills and factories, some aged as young as six. The second verse is suggestive of the psychological and physical damage to the child. Harsh working conditions and poor diets left these children prone to diseases such as diphtheria, typhoid and tuberculosis. Most developed lung problems through breathing in dust and cotton fragments. 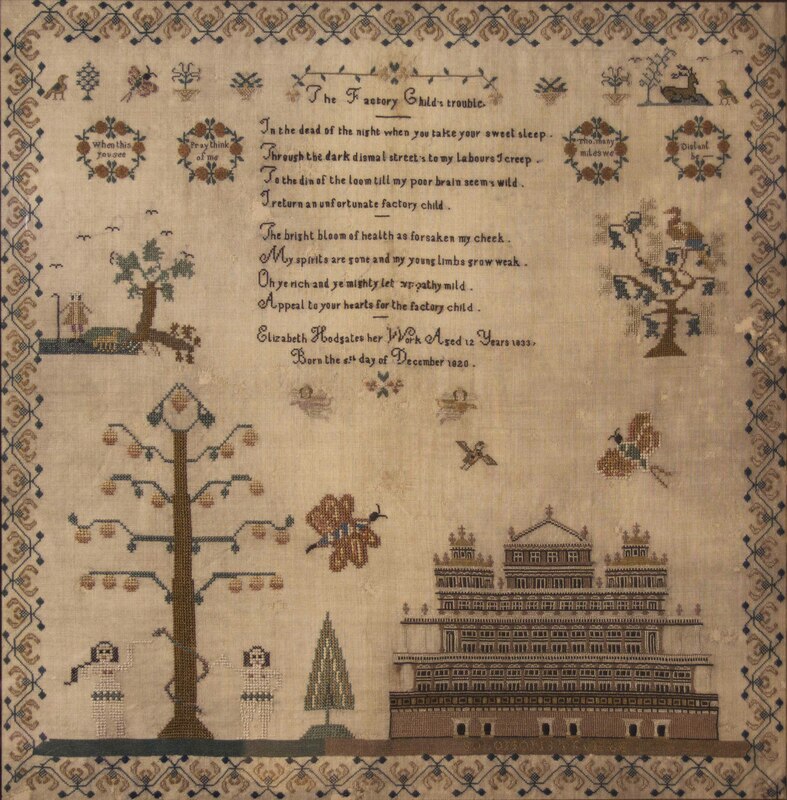 In 1833, the year this sampler was made, a series of Factory Acts was drawn up to improve conditions in mills. These acts reduced working hours, increased ventilation and, importantly, improved safety for children who had to crawl underneath the working looms. ‘Factory’ children were made to work in bare feet, in case the nails in their clogs caused sparks which could set light to sawdust and lint on the factory or mill floor.